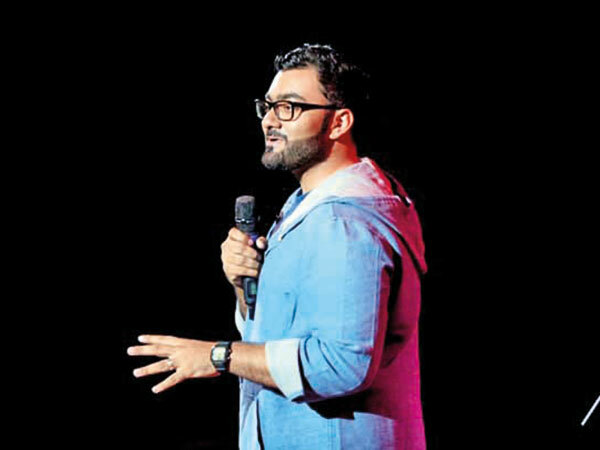 Comedy will cross borders as it takes centre stage for three nights at the Montreux Comedy Festival, an offshoot of the European event, at the Madinat Theatre in Dubai. On February 20 and 21, a French gala will welcome stand-up talents Kyan Khojandi, Navo, Noman Hosni, Fadily Camara and Hakim Jemili. The following evening, on February 22, an English gala will take place, featuring Ali Al Sayed, Schalk Bezuidenhout, Tom Houghton, Oamr Shams and Sundeep Fernandes. In addition, the Dubai-based Al Sayed will perform a late-night Arabic comedy show on the 22nd at 10.30pm. “Humour transcends borders, brings people together and empowers them,” said Jacques Barakat, CEO of Swissquote Bank Dubai Rep. Office. Doors open at 8pm, with the show beginning at 8.30pm. Tickets, available for booking online, are available from Dh150-250.